We always do our SD on Sunday. It gives you an excuse NOT to go to the race and you can still do a Memorial Day cookout if you want! Plus,after a long week of slinging batteries,I need a day to rest and get stuff together! So our best friends had other plans for today,so they wanted to cook out yesterday! Okay,whaddaya want? Steak! Double okay! They all split a 1 pound sirloin and Pammi and I shared a 1.2 pound bone in rib eye! 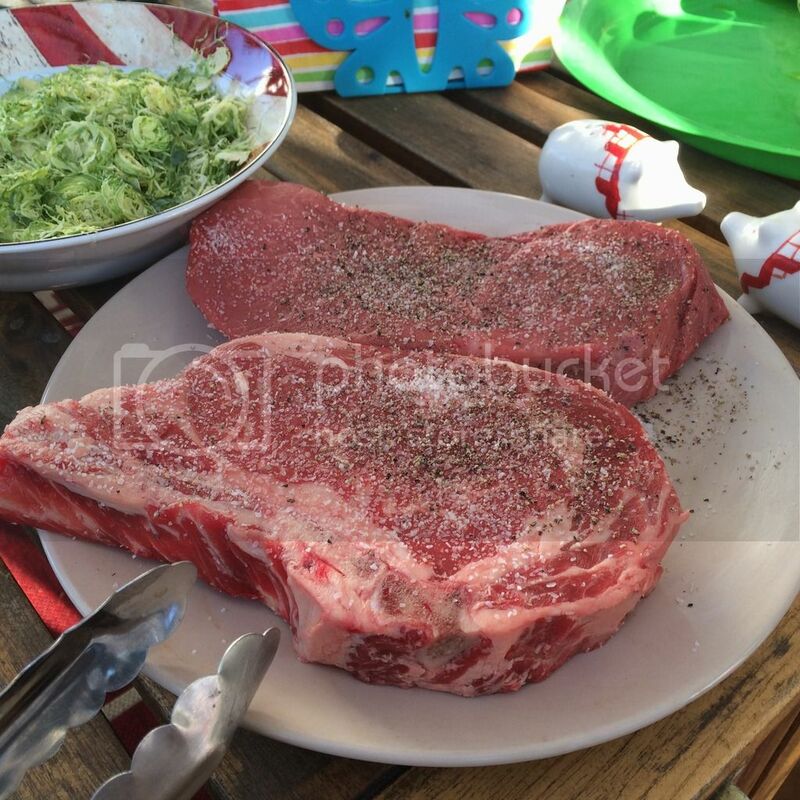 Simply seasoned with salt and pepper and cooked on the kettle over lump. I also threw some corn on the Genesis, along with some filed taters. About 8:30 last night,I assembled the WSM and filled the chamber with K and used some apple chunks fellow board member Tim K gave me. I used the still burning lump to start the WSM like a variation on the Minion method! 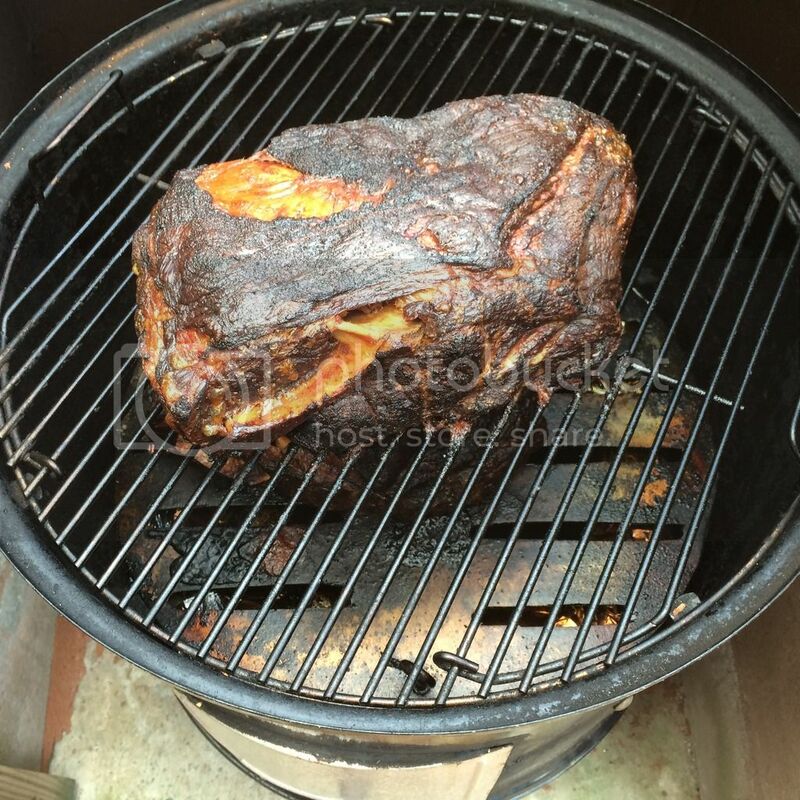 It was chugging along at 225* in no time and I put 2 butts on,each one about 8 pounds. 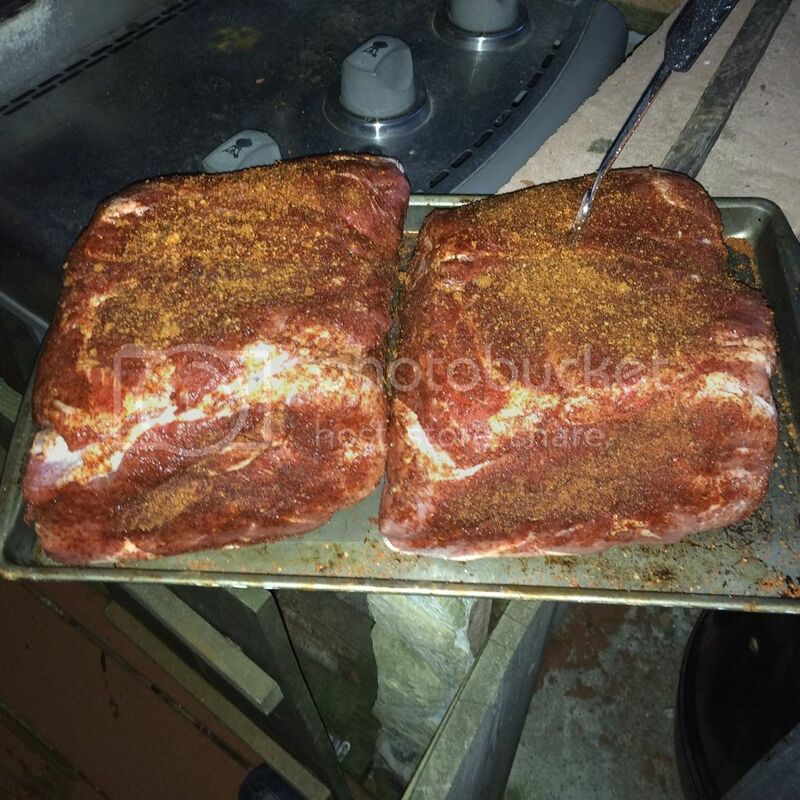 They were seasoned with some High Country rub from the Savory Spice shop. I had just enough to rub both of them lightly. This is what they looked like at 1 this afternoon. I took them of and double wrapped with foil and into a cooler they went! 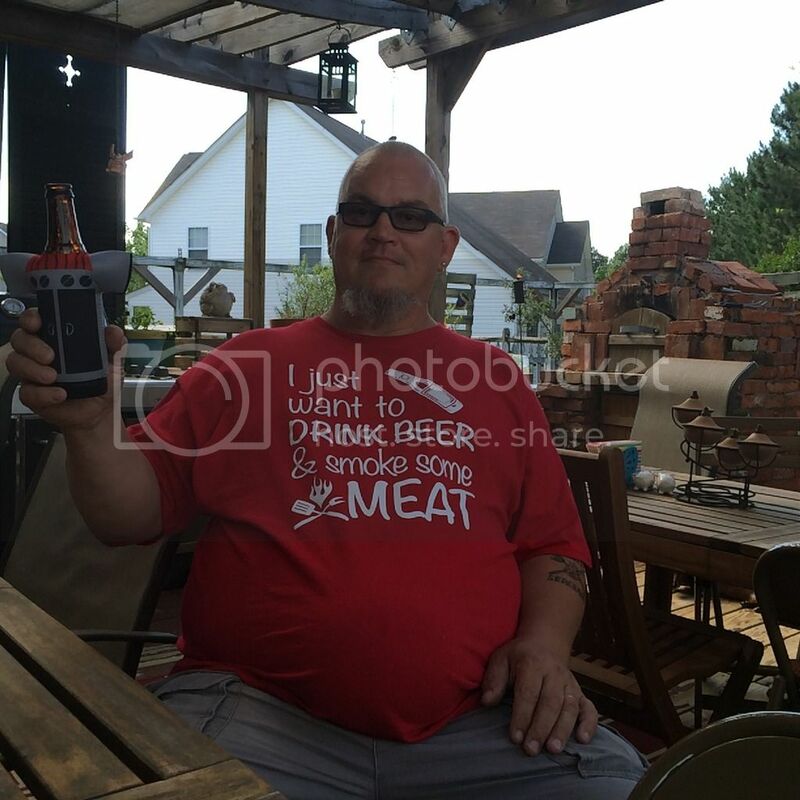 I took break later that afternoon, before firing up the grill for the rest of dinner! 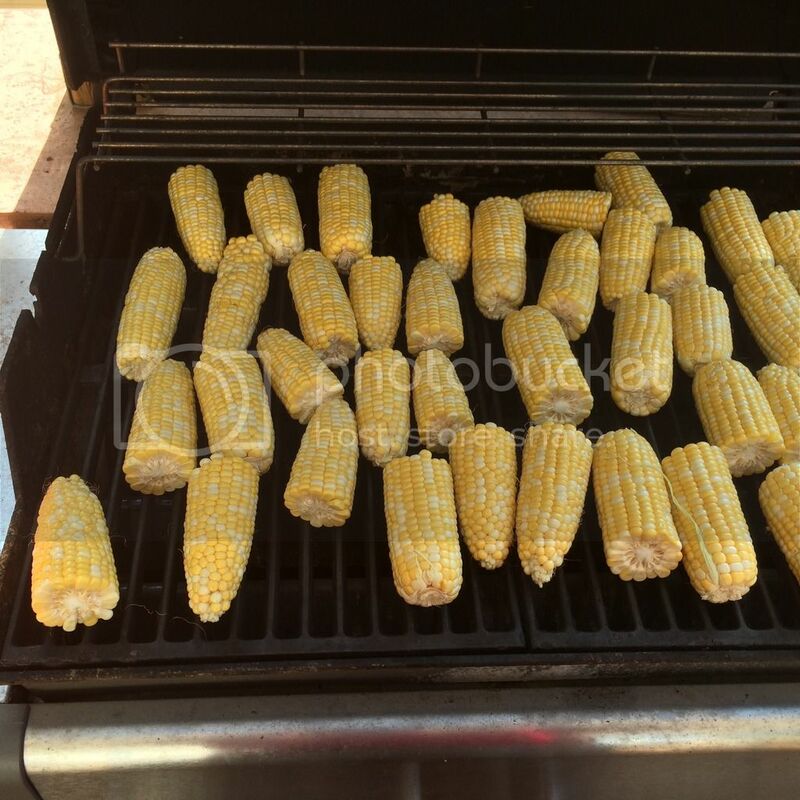 For sides,we had a grill full of corn,baked beans and macaroni salad. 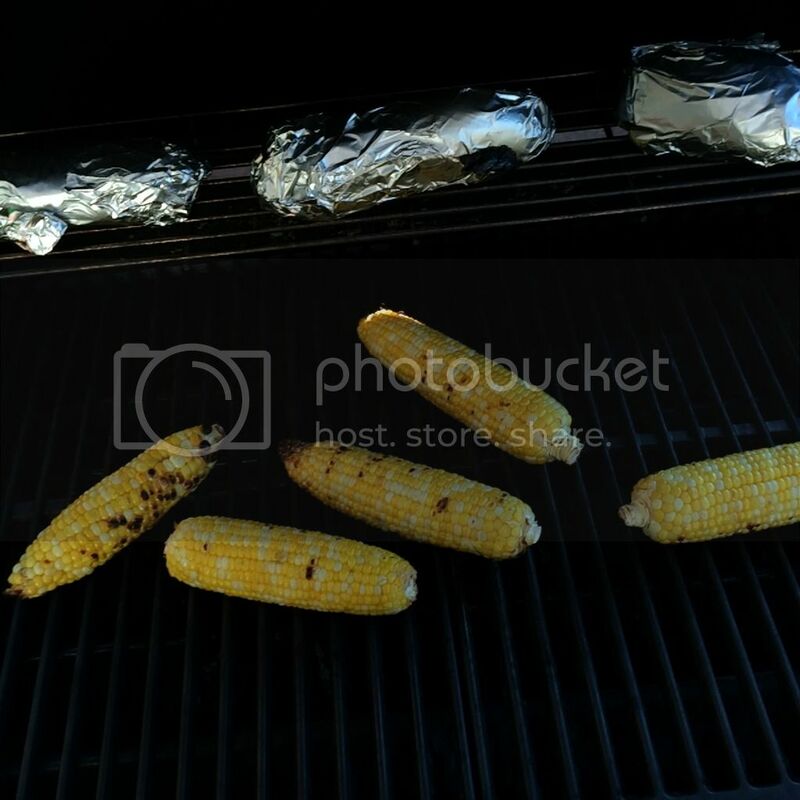 I only got pics of the corn somehow! Then,after we ate a meal that couldn't be beat,I fired up the grill again for dessert! 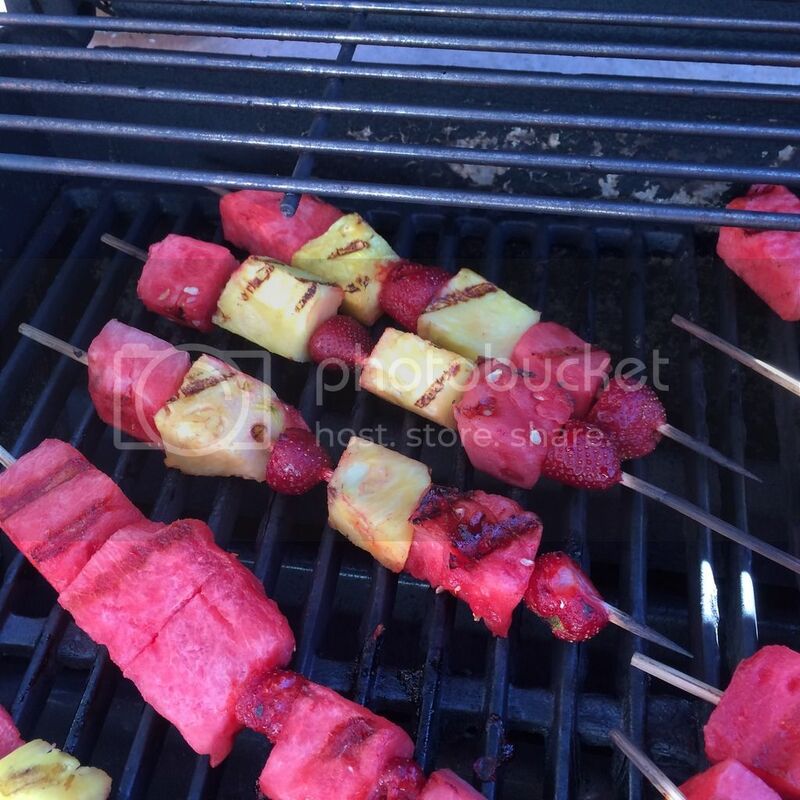 Fruit skewers with balsamic vinegar drizzled over it! THAT dessert is most definitely a keeper! Thanks for looking again and salute the troops! Great meal, Phil. Those steaks look perfect and I'm going to have to steal that fruit idea. Looks great Phil, sounds like you had a good day. Steaks are perfect and the desert is awesome great job. It all looks delicious Phil, I could smell it all the way up here!! Looks great Phil! 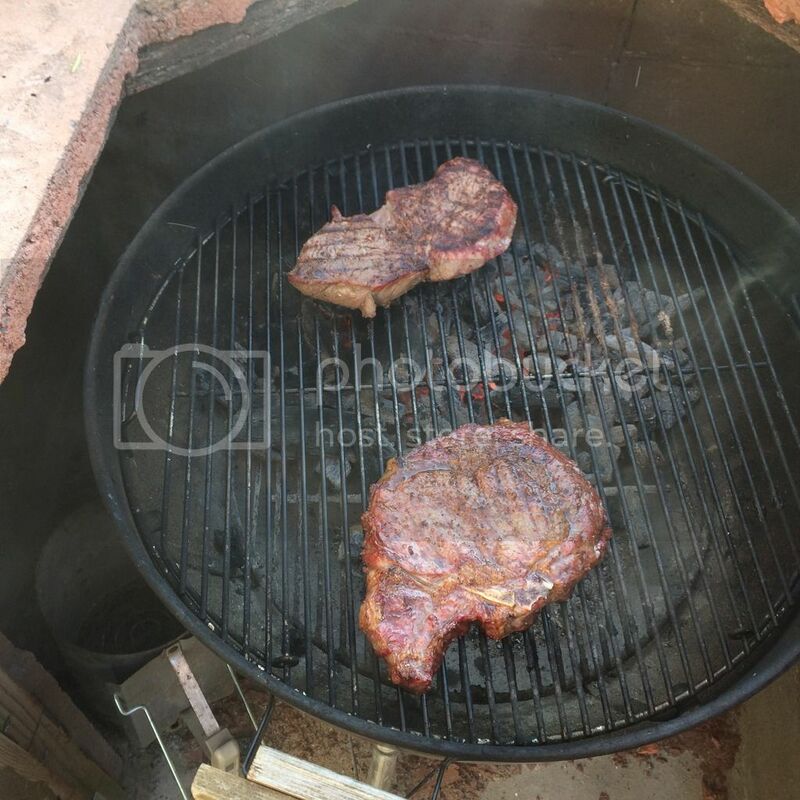 That Rib eye looks awesome! Where do I get mine at?